Blueberies, Blueberries, Blue berries, BlueBerrys, Blue berrys . . . any way you spell it (and ’round these parts they spell it many different ways with creative use of the English language on roadside signs beckoning Wild Blue Berry Buyers) Blue Berries means it’s time for Emily to build some blue berry pies. 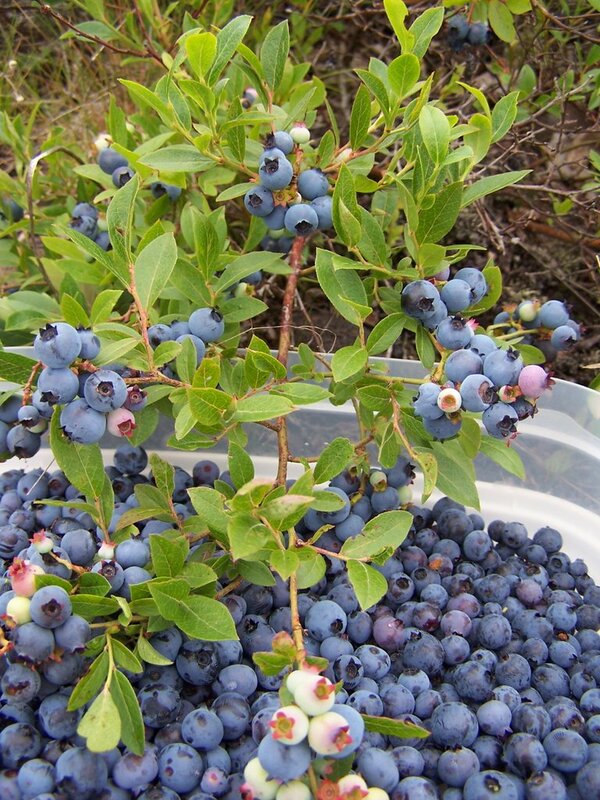 The other day my brother Mark and his family (wife Sue, kids Noah and Alix, and grandma Nancy) headed to Blue Berry Island to rustle up blue berries. Even with Noah popping his selected berries directly into his mouth (bi-passing the need for pie) the gang soon had a bag full… and Emily did her magic making a scrumptious blueberry pie, leaving us all pleasantly adorned with Blue teeth!